Background: Many landslides occur as a direct or indirect result of earthquakes. Recent studies have thoroughly examined the connection between earthquakes and post-seismic landslides triggered by rainfalls considering earthquake source distance and magnitude as well as the temporal delay of landslide activation. Methodology: Some of the recent seismic events that generated damaging landslides are presented in this study with special focus on socio-technical aspects along with the effectiveness of slope stabilization, the interaction of earthquake and subsequent rainfalls and disintegration of slope material due to water infiltration. Discussion: The mechanisms of compound effects are classified together with the research needs and possible mitigation measures. It is anticipated that the increased understanding of such mechanisms in the study areas is likely to be a prerequisite for a meaningful disaster risk reduction. The emphasis is also made on the importance of urgent post-earthquake damage surveys and benefiting from local seismic culture in land-use planning. Based on the extensive work done on the prediction of landslide occurrence, it can be emphasized that there is a strong need to investigate the connection between earthquake and postseismic landslides triggered by rainfall. The critical factors to be considered in this approach could be earthquake source distance, magnitude, and temporal delay of landslide activation. 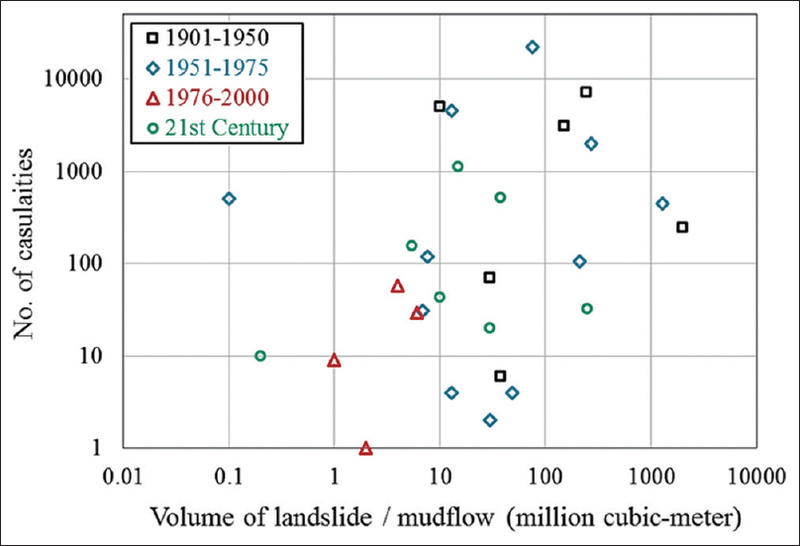 The reduction in safety factor leading to short-term susceptibility of postseismic landslides can be caused by changes in groundwater flows due to aquifer strains and ground fracturing/fissuring induced by shaking. Likewise, postseismic increase of landslide activation decades after the major event can be caused by decrease in shear strength of slope material at the time of strong shaking. On the other hand, from the engineering perspective of infrastructure safety in earthquake and landslide-prone areas, it is evident from the historical records that slope failures not only cause fatalities but also create massive disruptions (such as blocking critical transportation routes in mountainous areas, forming lakes by damming water channels, and triggering seiches or tsunamis). The existing knowledge for disaster risk reduction may be inadequate or insufficient in every new situation because of ever-changing human lifestyle and types of infrastructures. It is therefore important to realize the increasing demand of sociotechnical aspects of landslide hazards and rehabilitation. Another reason is that the engineering analysis approach is necessarily not always the same as that of the past, considering the criterion/limits unacceptable today may become acceptable in future. Based on the reconnaissance studies of a few strong earthquakes in the recent past, an attempt has been made in this study to highlight sociotechnical lessons learned from these events with respect to landslide risk assessment and mitigation measures. The details of a few recent earthquake events which were personally visited to assess the nature, source, and causes of damages are listed in [Table 1]. Along with the technical perspectives, emphasis has been made on social aspects of landslide risk assessment as presented in the succeeding sections. The Wenchuan earthquake (May 12, 2008, Mw= 7.9) in China triggered more than 30,000 landslides, rockfalls, and debris flows, resulting in approximately 20,000 deaths.,, Many reports have been published about this gigantic earthquake , and damage details have been publicized to a reasonable extent so far. 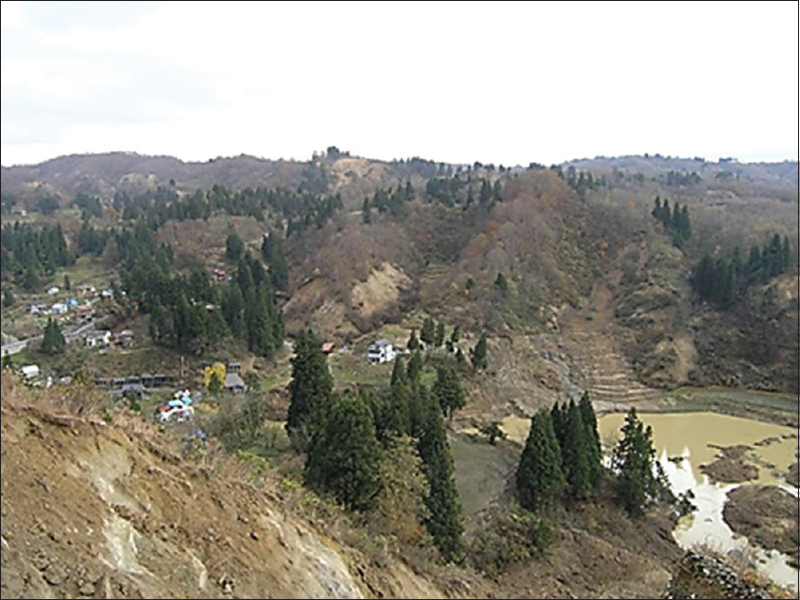 [Figure 3] shows a site where an entire village disappeared by the earthquake-induced landslide. Furthermore, a site of debris flow that claimed 60 lives is shown in [Figure 4] where the houses were situated near the valley exit where the risk of landslide is always high. Considering similar widespread tragedies, emphasis can be made on the importance of slope risk assessment studies as well as developing and publicizing the hazard maps. Likewise, the necessity of urgent postearthquake damage surveys can be understood from [Figure 5] which shows a natural dam produced by a landslide mass, creating an imminent risk of breaching and subsequent flooding. The practical problem, however, is how to relocate people before an expected disaster once their dwellings are categorized as “at high risk.” It is always difficult and impractical for them to move to a “safer area” not only because of the financial constraints but also due to the emotional attachment to their places. Hence, there is always a conflict between safety and social constraints in such situations. It is always important to pay attention to various geological settings that are vulnerable to earthquake-induced slope failures, the extent of weathering being one of them. A rock mass subjected to prolonged physical, chemical, or biological weathering has a lot of fissures and softened materials, making the slope vulnerable to failure during an earthquake. [Figure 6] illustrates two examples where weathered granite rocks failed during the earthquake. [Figure 7] shows another example in which a weathered rock mass with joints parallel to the slope [Figure 7]a was damaged significantly, while the other was not affected [Figure 7]b, probably, the joints being oriented perpendicular to the slope surface. This suggests the importance of orientation of joints and the shear strength in risk analysis. 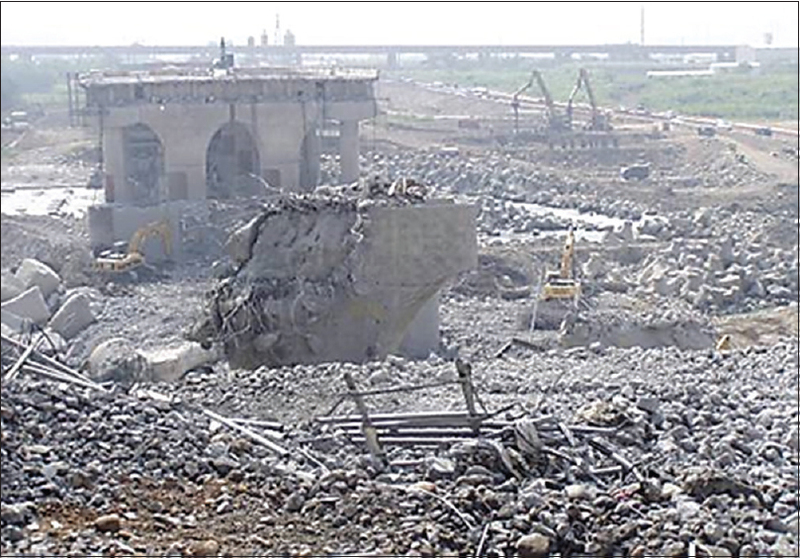 [Figure 8]a shows the collapse of Xiaoyudong bridge near Pengzhou city. Furthermore, note the movement of the abutment wall due to the lateral seismic forces in [Figure 8]b. According to the chief designer of the bridge, seismic analysis was not carried out because economizing the project was main priority for this bridge. An earthquake of moment magnitude of 6.1 occurred on January 8, 2009, in the central mountainous area of Costa Rica. There are a number of volcanoes, both active and dormant, in the central highlands of Costa Rica and many slope surfaces are covered by materials of volcanic origin. Consequently, the earthquake shaking triggered many slope failures at the surface and led to debris flow. [Figure 9] illustrates a site where the instability started from the top of the slope and the failures occurred uniformly over the entire width of the cliff. 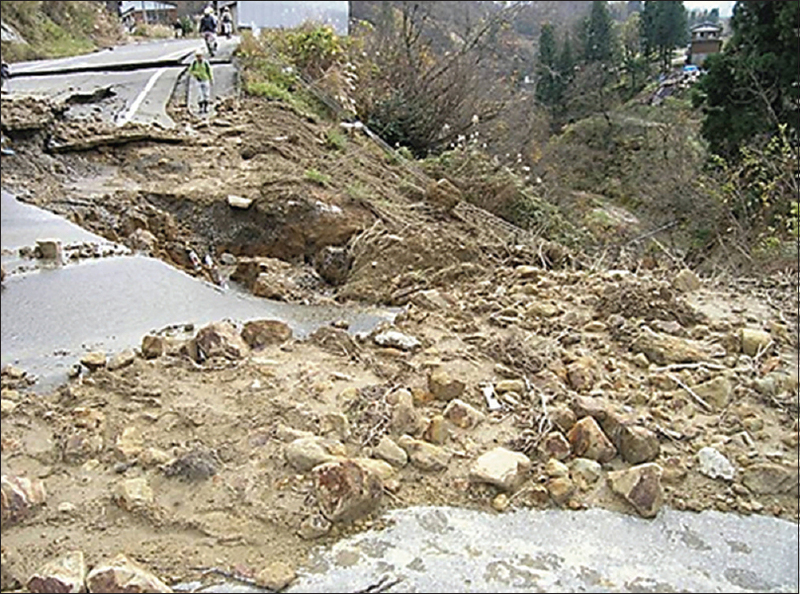 Noteworthy is that debris flow occurred in many valleys immediately after the earthquake [Figure 10] which washed out many bridges and roads, making rescue, and rehabilitation activities very difficult. This earthquake occurred on September 30, 2009, off the west coast of Sumatra Island and registered the moment magnitude of 7.6. 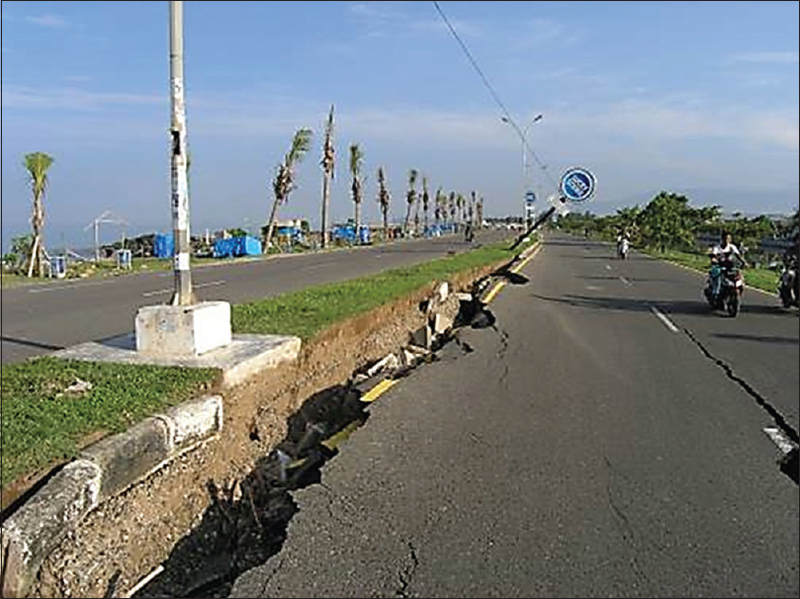 [Figure 11] demonstrates a damaged road embankment, whose right-half was constructed on a very soft soil (lagoon) which failed during the earthquake. The mountainous area in northern part of the Padang city is covered by volcanic deposits mainly composed of scoria. [Figure 12], [Figure 13], [Figure 14] indicate two large slope failures. The first one at Lubuk Laweh occurred in many slopes surrounding a small basin. During a site visit, while it was raining, the author personally observed the landslide as shown in the left part of [Figure 12]. This rainfall-induced event probably suggests that the mountain slope was disturbed by the earthquake motion and lost its stability against rainfall significantly. 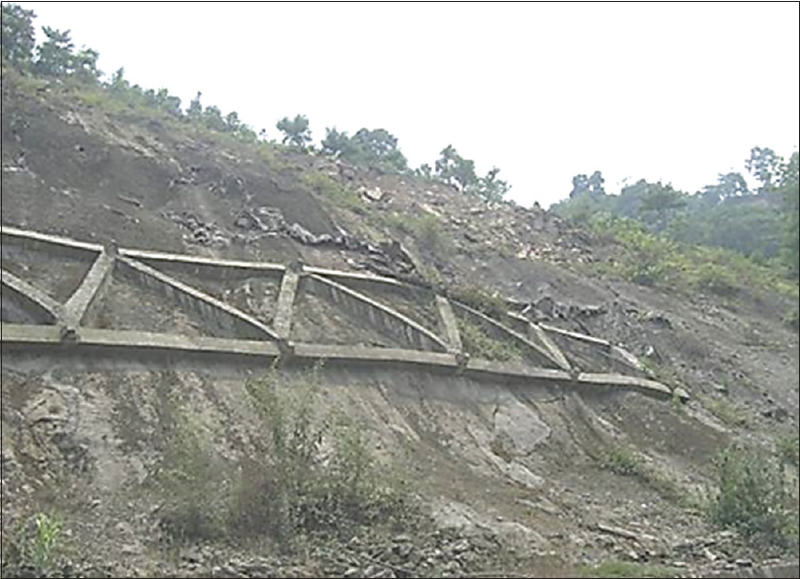 [Figure 13] depicts another slope failure, and the size of this landslide was estimated to be 114 m in width, 500 m in length, and 5–10 m in thickness, resulting in an approximate volume of 300,000–600,000 m3. 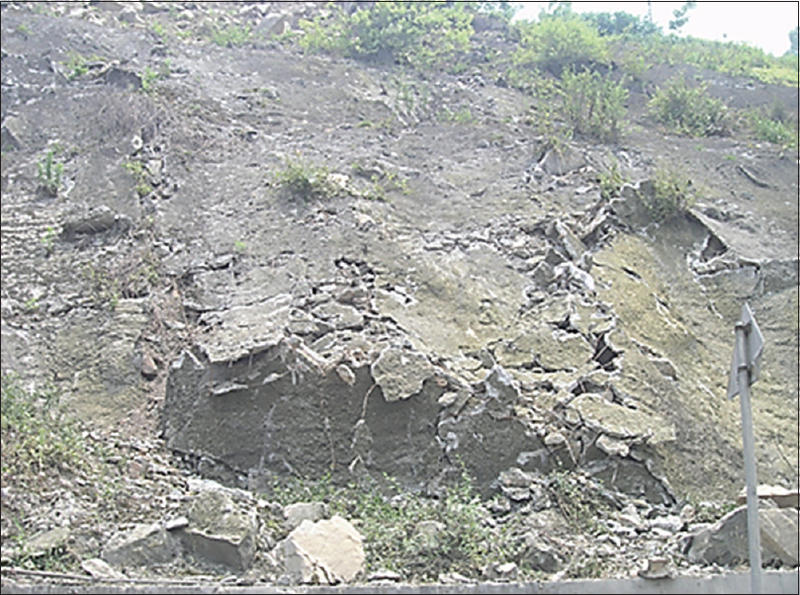 The material of this landslide mass was scoria as well. This mass movement closed a river channel at the bottom of the slope [Figure 14] causing a diversion in the river channel. It is important to observe that small slope failures can be as disastrous as the big ones. 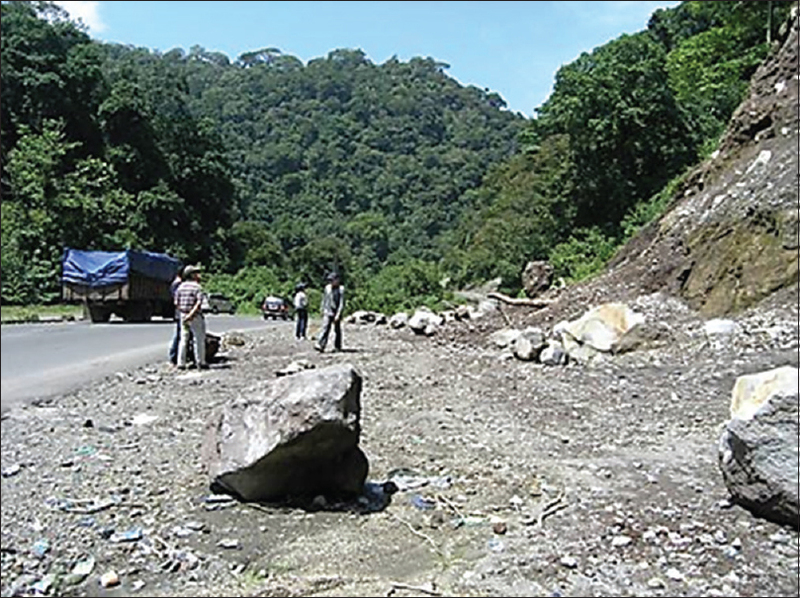 [Figure 15] shows a rockfall location along a local important highway. Consequently, the blockage of transportation caused long delays in rescue and reconstruction operations. 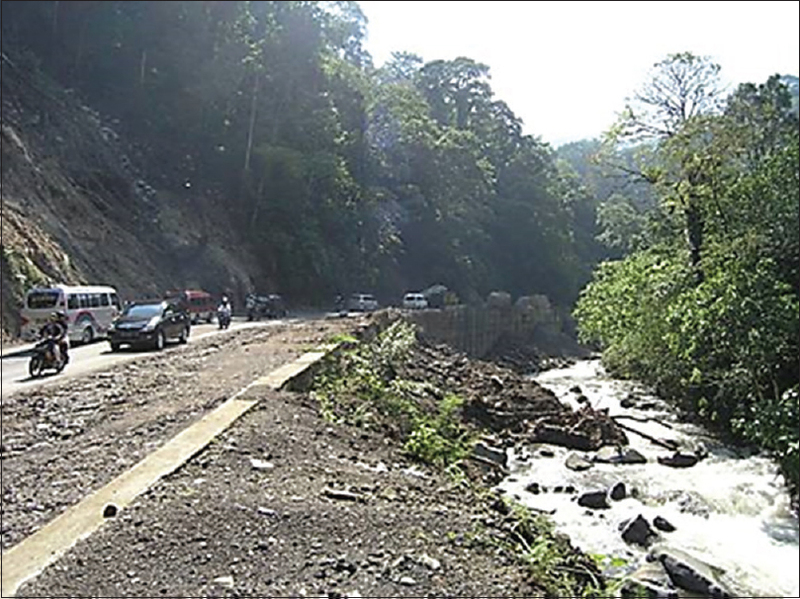 [Figure 16] illustrates an interesting case where a relatively wider right-off way between the toe of slope and the highway minimized the blockage of the highway due to rockfalls and kept it operational even after the earthquake. This earthquake occurred on June 14, 2008, and registered moment magnitude of 6.8. Similar to the events in Costa Rica and Sumatra, the instability of volcanic slopes was noteworthy. [Figure 17] shows the biggest slope failure in volcanic deposits during this earthquake. The failed mass of the slope was 900 m in width, 1300 m long, and 50–100 m deep with a total volume of the landslide probably being more than 50 million m3. 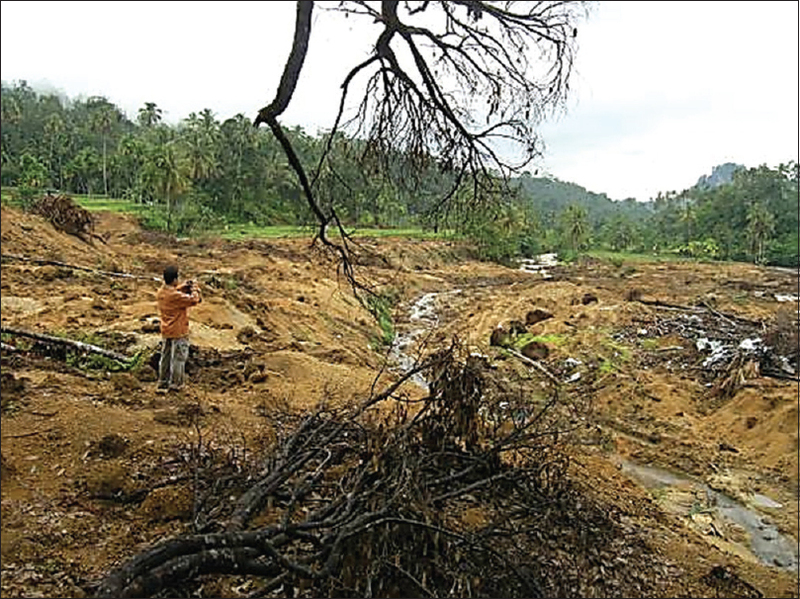 A part of the sliding mass moved into the reservoir and produced a small-scale tsunami which fortunately did not cause any damage to life and property because of sufficient freeboard above the normal reservoir level. This event suggests the low seismic safety of volcanic slopes that might lead to a significant disaster. It is certainly desirable that slopes along important roads and near human habitations remain intact during strong earthquakes. Therefore, any stabilization measure should be designed and constructed to achieve perfectly stabilized slopes. However, this goal is not easy to achieve because of financial constraints and cost-benefit limitations. From this viewpoint, the real situation after the 2008 Wenchuan earthquake is reviewed in what follows. [Figure 18] shows successful use of shotcrete and wire mesh along a local important highway. It appears that the rock condition in this slope was relatively better than the other sites, although not being perfect, and this simple stabilization technique was executed. The slope distortion in the figure may be termed as “damaged” but the traffic was somehow maintained after the earthquake. In this regard, the aim of this simple stabilization was satisfied. Similarly, less stable slopes were reinforced by reinforced concrete frames with rock bolts [Figure 19] or large bored piles with supporting panels at the toe of the slope [Figure 20]. In both cases, the traffic was maintained although these stabilization works distorted substantially. A complex situation is demonstrated in [Figure 21]a where a highway runs through an unstable steep slope in a valley. The traffic on this highway was restored 1 year after the earthquake. The valley being very narrow, it was not possible to make safe places for potential rockfalls [Figure 16]. The situation, in this case, cannot be made better by relocating the highway to the other side of the valley because both sides of the valley had steep slopes. Moreover, most of the slopes are high, long, and unstable; thus, conventional stabilization measures as stated above are too expensive. In any case, postdisaster rescue and rehabilitation activities require transportation routes to be immediately restored after the disaster while the slopes are still very unstable. A prefabricated tunnel (rock-shed) such as shown in [Figure 21]b seems useful in such situations. It is interesting to mention that there exists a traditional but nonengineering approach to avoid damages related to slope instabilities. [Figure 22] depicts the situation after the 2004 Niigata-Chuetsu earthquake in Japan with moment magnitude of 6.5. The figure shows many slope failures after the earthquake. However, there was no damage to life and property because all the houses were situated on a stable and safe location. It is anticipated that the people got experience from the history of earthquakes to discover safe places to live. This is contrary to the situation shown in [Figure 23] where a newly constructed government building suffered damages due to slope instability during the earthquake. It is often the case that when a site for a public facility is sought, good, and safe sites are already occupied by residential units. Hence, it is suggested that before new developments in landslide-prone areas, engineers should do reconnaissance surveys/interviews to collect useful traditional knowledge about self-protection from natural disasters and interpret them from the viewpoint of modern engineering principles. Indeed, such a “local seismic culture” cannot be given for granted everywhere and in any situation. Ferrigni  showed that the rise of local seismic cultures is possible in the relation of some characteristics of phenomena such as level of destructiveness and time of recurrence of damaging events, which make possible the transmission of learnings of such events from one generation to the other. In conventional soil mechanics and geotechnical engineering, slope failures caused by seismic action and rainfall effect have been considered separately. The former was considered by assuming pseudostatic earthquake forces while using the strength of soil under normal moisture conditions. The latter was considered by assuming heavy unit weight due to water infiltration and relevant shear strength of soil under high moisture content. Recently, the disaster mitigation engineering has started to consider the combined effects of various disaster mechanisms such as ground subsidence and high tide at the same time, wind and flooding water, seismic distortion followed by tsunami. Another example is the seismic subsidence of sea-front walls subjected to high tides twice a day. In line with these situations, the following text discusses the combined effects of earthquake shaking and rainfall on slope stability which is in agreement to the findings. Probabilistically, the chance of simultaneous occurrence of earthquake and heavy rainfall is very small. However, there are several examples in which a foregoing earthquake increases the risk of rainfall-induced slope disasters in later years. 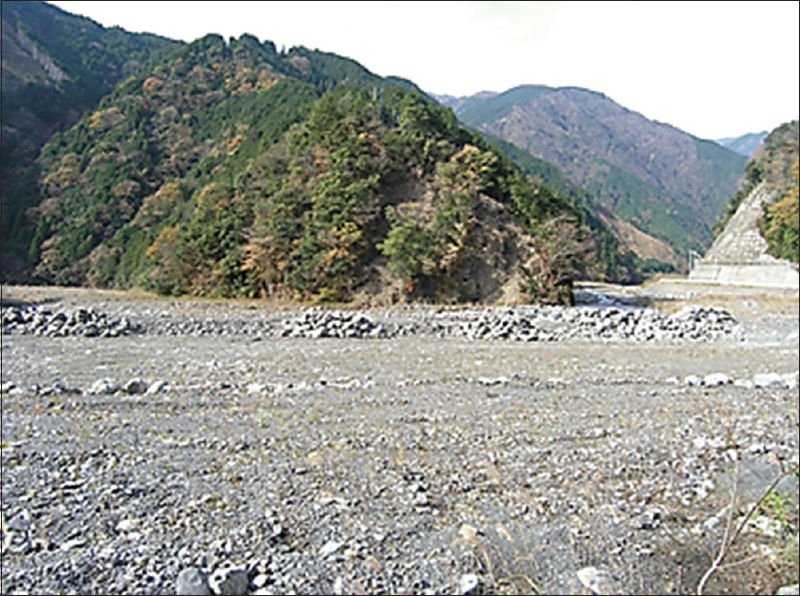 [Figure 24] illustrates the Ohya mountain slide that was most probably caused by the 1707 Hoei earthquake with an equivalent moment magnitude of about 8.7 and [Figure 25] shows the river channel filled with debris in the downstream of this slope failure. 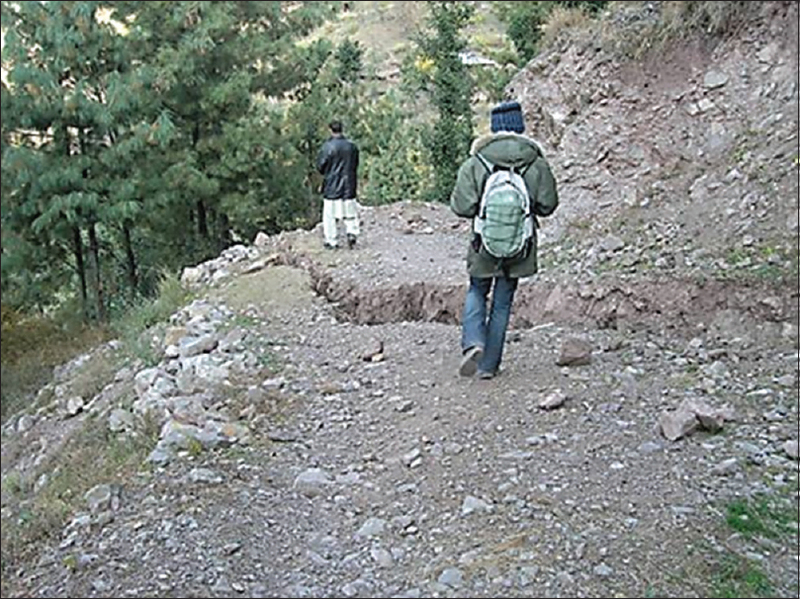 For 300 years since then, heavy rainfalls have been generating debris flow from this failed slope., Therefore, slope stabilization has been a challenge in this area as initially the earthquake forces weaken/disturbs the material and afterward the slope certainly fails during successive rainfall(s). Notable is that the increase of landslide/debris flows activation decades after strong earthquakes are also reported. The second example comes from the 2005 Kashmir earthquake in Pakistan with a moment magnitude of 7.6. 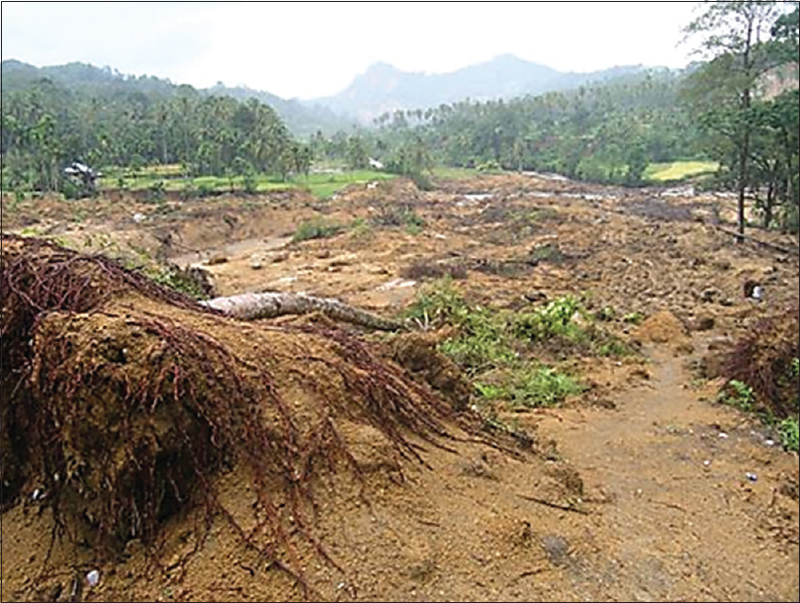 This earthquake triggered more than 2,400 landslides, including the 68 × 106 m3 Hattian Bala rock avalanche which destroyed an entire village and caused about 1000 fatalities. [Figure 26] shows a big crack produced by the earthquake shaking in a mountainous slope. Obviously, such cracks cause increased rainwater infiltration, increase in the unit weight of soil, reduce the effective stress, and hence make a slope more vulnerable to failure. What deserves attention here is that a new slope instability and consequent debris flow would initiate on successive rainfalls. [Figure 27] indicates such a situation where debris comes down after each heavy rainfall because the prior strong shaking had somehow disturbed the shear strength of the slope material. The third example of earthquake-rainfall compound effects is from Kushan town (Beichuan, China) considering the 2008 Wenchuan earthquake. 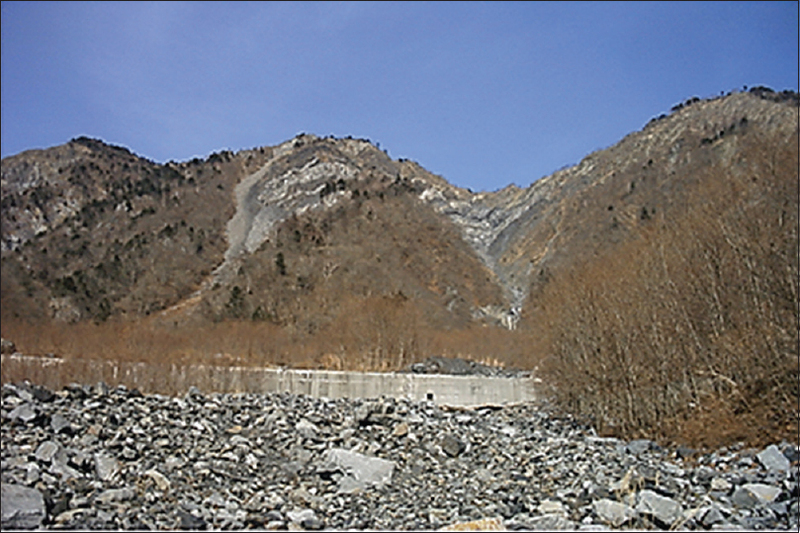 [Figure 28] presents the situation at a summer resort where a rainfall in July 2008 triggered significant debris flow 2 months after the seismic event in May 2008. The increased risk of debris flow after the earthquake was probably due to the disturbance of material by strong shaking, inclusive of the crack opening in the slopes. Finally, the reconstruction of this town was abandoned due to recurrent debris flow. The 1999 Chi-Chi, Taiwan, earthquake (Mw 7.6) triggered approximately 9272 landslides each of which was larger than 625 square meters and that the total area of landslides was about 128 square kilometers.,, The largest of these was the Tsaoling landslide which involved 125 × 106 m3 of rock and caused 39 fatalities. The reason behind many slope failures of a variety of sizes was the vulnerable geological and geographical conditions of Taiwan Island [Figure 29]. First, the Island of Taiwan is subjected to complicated tectonic forces induced by Eurasian and Philippine-Sea plates which cause many faults and distortion of the rock mass. Second, the central to western parts of the island, where damage was significant, are of geologically young origin such as Miocene (23 million years) or younger. Hence, most rocks are still soft rocks and have low strength. Third, the precipitation in Taiwan is quite high, for example, the annual precipitation in the recent decades in the central mountain area (Sun Moon Lake site) is about 2405 mm. This amount of rainwater rapidly erodes the soft rocks and produces steep slopes, which as a result become susceptible to slope instability. It seems that the consequences of seismic disturbance are now occurring substantially in Taiwan. 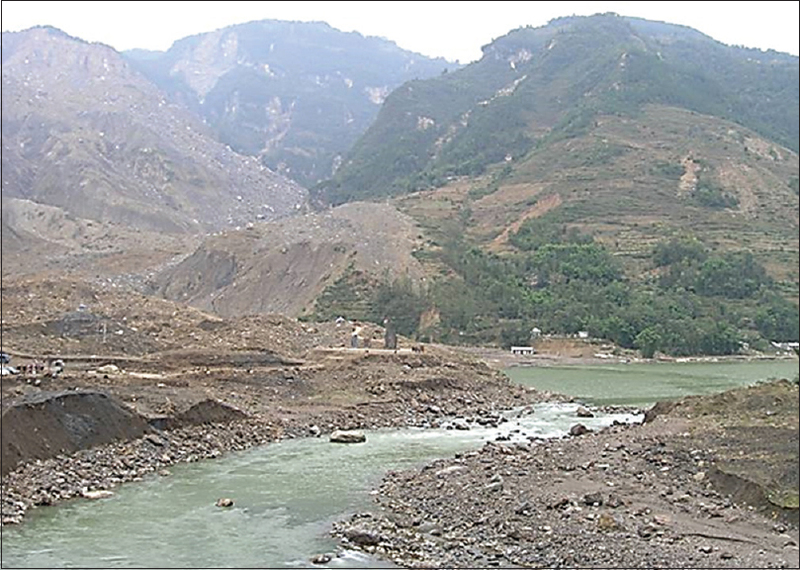 [Figure 30] shows a huge debris flow that occurred in the central part of Taiwan in 2008. It can be presumed that the debris that fell down and got deposited during the 1999 earthquake are possibly now being washed out on heavy rainfalls, adding more to the problems. Note that this type of compound effects will not last for a long time because a few rainfalls are enough to wash out all the old deposits. [Table 2] summarizes the discussions regarding the compound effects of a foregoing earthquake and succeeding rainfalls as well as the relevant damage mechanisms are classified. It deserves the attention that in many parts of the world with soft rock geology, the water-induced swelling, and degradation are causing many slope failures and damages to embankments. According to soil mechanic textbooks, mudstone obtained from a local quarry is called gravel (cobble) and is considered to be a good fill material. Mostly, crushed mudstone is available at low price from a nearby site. While seeking a better cost-benefit ratio, materials like mudstone may be used as a fill material. [Figure 34] illustrates an earthquake-induced failure of a mudstone embankment that was placed near a small water stream which caused a gradual degradation of the material properties. 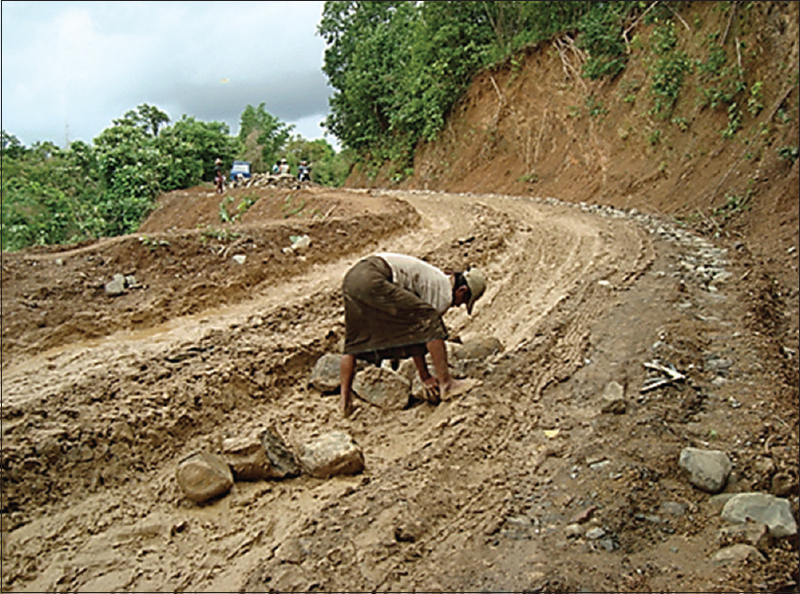 [Figure 35] indicates a failed section of a road in Myanmar that passes through mudstone geology in which the water-induced damage is repeated nearly every year. Although the slaking mechanism and subsequent risks are well understood for such materials, an alternate cheap fill material for large projects still remains a concern. Besides hazard maps, the importance of urgent postearthquake surveys has been highlighted which can help the local authorities in effective rehabilitation of the affected areas. It is emphasized that the slopes of volcanic deposits need special attention being vulnerable to failure during earthquakes. 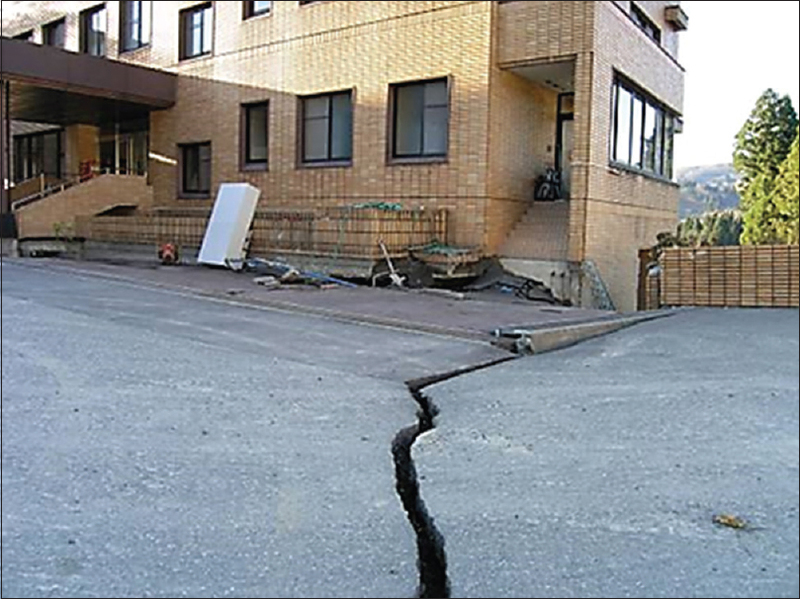 Moreover, a strong earthquake weakens the slope material and exerts long-lasting compound effects on subsequent heavy rainfalls. One of the mechanisms of compound effects is swelling of rock-forming minerals due to water infiltration and the subsequent disintegration of soft rocks producing many slope problems. Most of the earthquakes trigger landslides which account for a major portion of total damage. Thus, appropriate formulation of the scenario can be quite crucial to minimize the aftermaths of earthquakes and plan emergency response. In this study, a few recent seismic events have been presented with special focus on sociotechnical aspects of landslides. It has been witnessed that there always exist nonengineering skills among local people to avoid slope disasters. Thus, the lessons learned from disastrous events and subsequent skills developed can be transferred from one generation to another by promoting local seismic culture. Along with the importance of slope stabilizations, the need to avoid human exposure to high-risk areas during regional planning and infrastructure development is also emphasized. Bray JD, Travasarou T. Simplified procedure for estimating earthquake-induced deviatoric slope displacements. Geotechnical and Geoenvironmental Engineering 2007;133:381-92. Jibson RW. Some Observations of landslides triggered by the 29 April 1991 Racha Earthquake, Republic of Georgia. Bulletin Seismological Society of America 1994;84:963-73. 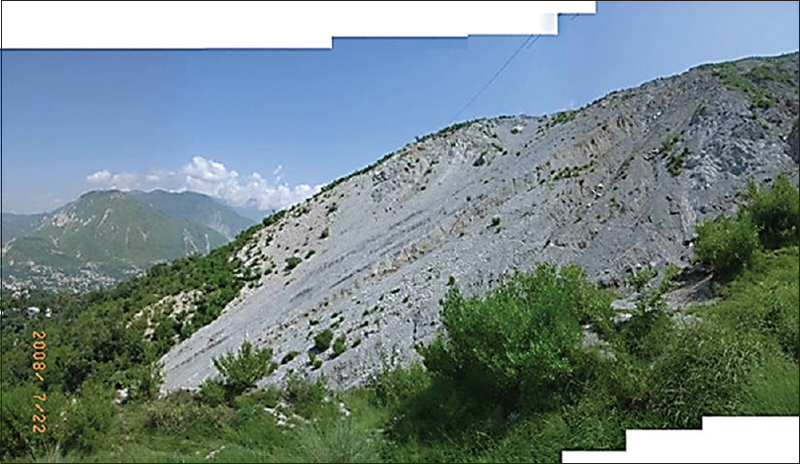 Kim B. Seismic hazard analysis and seismic slope stability evaluation using discrete faults in northwestern Pakistan. Doctoral dissertation, University of Illinois at Urbana- Champaign, USA. 2012. Nakamura S, Wakaib A, Umemura J, Sugimoto H, Takeshi T. Earthquake-induced landslides: Distribution, motion and mechanisms. Soils and Foundations 2014;54:544-59. Samia J, Temme A, Bregt A, Wallinga J, Guzzetti F, Ardizzone F, et al. Do landslides follow landslides? Insights in path dependency from a multi-temporal landslide inventory. Landslides 2017;14:547-58. Crosta G. Regionalization of rainfall thresholds: an aid to landslide hazard evaluation. Environmental Geology 1998;35:131-45. Guzzetti F, Galli M, Reichebach P, Ardizzone F, Cardinali M. Landslide hazard assessment in the Collazzone area, Umbria, Central Italy. Natural Hazards and Earth System Sciences 2006;6:115-31. Keefer DK, Larsen M. Assessing landslide hazards. Science 2007;316:1136-38. Legros F. The mobility of long-runout landslides. Engineering Geology 2002;63:301-31. Barredo JI, Benavides A, Hervás J, Van-Westen CJ. Comparing heuristic landslide hazard assessment techniques using GIS in the Tirajana Basin, Gran Canaria Island, Spain. International Journal Applied Earth Observation and Geoinformation 2000;2:9-23. Ruff M, Czurda K. Landslide susceptibility analysis with a heuristic approach in the Eastern Alps (Vorarlberg, Austria). Geophysical Journal of the Royal Astronomical Society 2008;94:314-24. Van Westen CJ, Castellanos E, Kuriakose SL. Spatial data for landslide susceptibility, hazard and vulnerability assessment: an overview. Engineering Geology 2009;102:112-31. Godt JW, Baum RL, Savage WZ, Salciarini D, Schulz WH, Harp EL. Transient deterministic shallow landslide modeling: requirements for susceptibility and hazard assessments in a GIS framework. Engineering Geology 2008;102:214-26. Lan HX, Zhou CH, Wang LJ, Zhang HY, Li RH. Landslide hazard spatial analysis and prediction using GIS in the Xiaojiang watershed, Yunnan, China. Engineering Geology 2004;76:109-28. Remondo J, González-Díez A, Díaz de Terán JR, Cendrero A. Landslide susceptibility models utilising spatial data analysis techniques. A case study from the lower Deba Valley, Guipúzcoa (Spain). Natural Hazards 2003;30:267-79. Yeon YK, Han JG, Ryu KH. Landslide susceptibility mapping in Injae, Korea, using a decision tree. Engineering Geology 2010;116:274-83. Tien BD, Tuan T, Klempe H, Pradhan B, Revhaug I. Spatial prediction models for shallow landslide hazards: a comparative assessment of the efficacy of support vector machines, artificial neural networks, kernel logistic regression, and logistic model tree. Landslides 2016;13:361-78. Rajabi AM, Khamehchiyan M, Mahdavifar MR, Del-Gaudio V, Capolongo D. A time probabilistic approach to seismic landslide hazard estimates in Iran. Soil Dynamics and Earthquake Engineering 2013;48:25-34. Saygili G, Rathje EM. Probabilistically based seismic landslide hazard maps. Engineering Geology 2009;109:183-194. Lin CW, Liu SH, Lee SY, Liu CC. Impacts on the Chi-Chi earthquake on subsequent rain induced landslides in central Taiwan. Engineering Geology 2006;86:87-101. Sato HP, Harp EL. Interpretation of earthquake-induced landslides triggered by the 12 May 2008, M7.9 Wenchuan earthquake in the Beichuan area, Sichuan Province, China using satellite imagery and Google Earth. 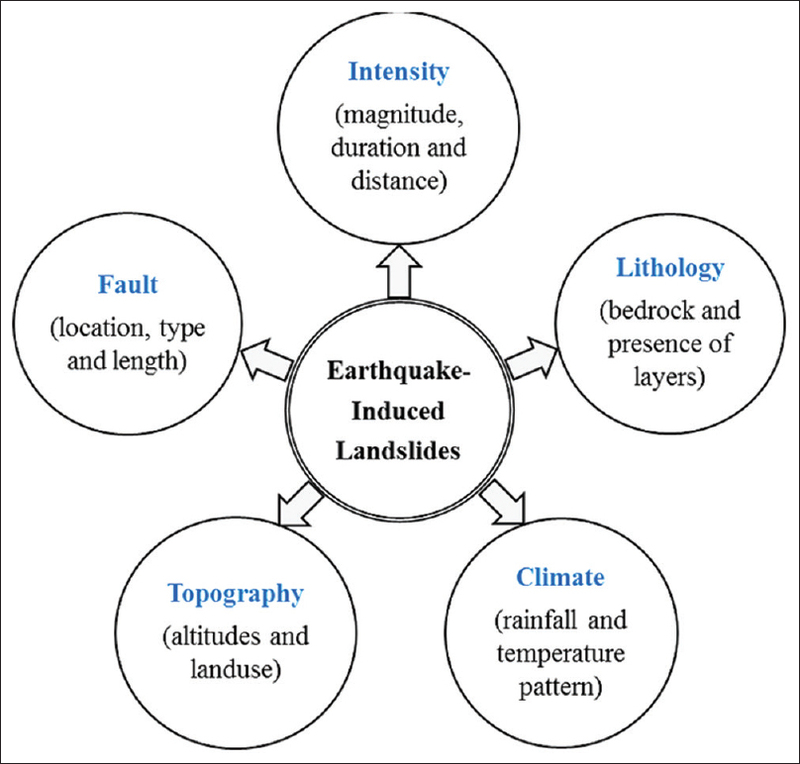 Landslides 2009;6:153-9. 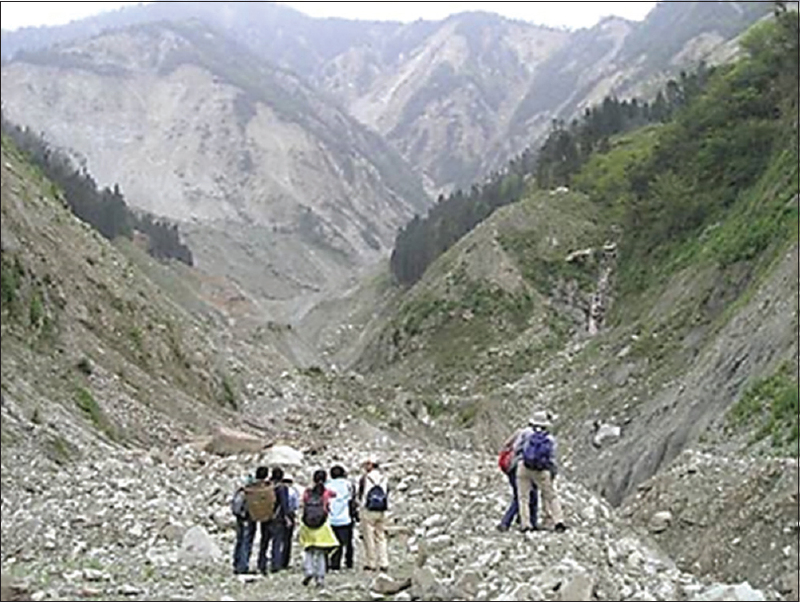 Yin YP, Wang FW, Sun P. Landslide hazards triggered by the 2008 Wenchuan earthquake, Sichuan, China. Landslides 2009;6:139-52. Zhang LM. Geohazard chain in Beichuan Town caused by Great Wenchuan Earthquake. Taylor & Francis Group, London. 2009. Dai FC, Xu C, Yao X, Xu L, Tu XB, Gong QM. Spatial distribution of landslides triggered by the 2008 Ms 8.0 Wenchuan earthquake, China. Journal of Asian Earth Sciences 2010;40:883-95. Towhata I, Jiang YJ. Geotechnical aspects of 2008 Wenchuan earthquake, China. In MA Sakr & A Ansal (Ed. ), Special Topics in Earthquake Geotechnical Engineering: Vol 16, Geotechnical, Geological and Earthquake Engineering, Netherlands: Springer, 2012: 67-90. Ruiz P, Carr MJ, Alvarado GE, Soto GJ, Senz LF, Feigenson MD. Co-seismic landslide inventory for the Cinchona earthquake (01-08-2009, Mw 6.2), Costa Rica. A case of high landslide density at Poas volcano. Paper presented at the Geological Society of America (GSA) Annual Meeting, Minneapolis, MN. 2011. Faris F, Wang F. Stochastic analysis of rainfall effect on earthquake induced shallow landslide of Tandikat, West Sumatra, Indonesia. Geoenvironment Disasters 2014;1-12. Ferrigni F, Helly B, Mauro A, Mendes VL, Pierotti P, Rideaud A, et al. Ancient buildings and earthquakes. The local seismic culture approach: principles, methods, potentialities. Ravello: Centro Universitario Europeo per i Beni Culturali, Edipuglia srl. 2005. Imaizumi F, Tsuchiya S, Ohsaka O. 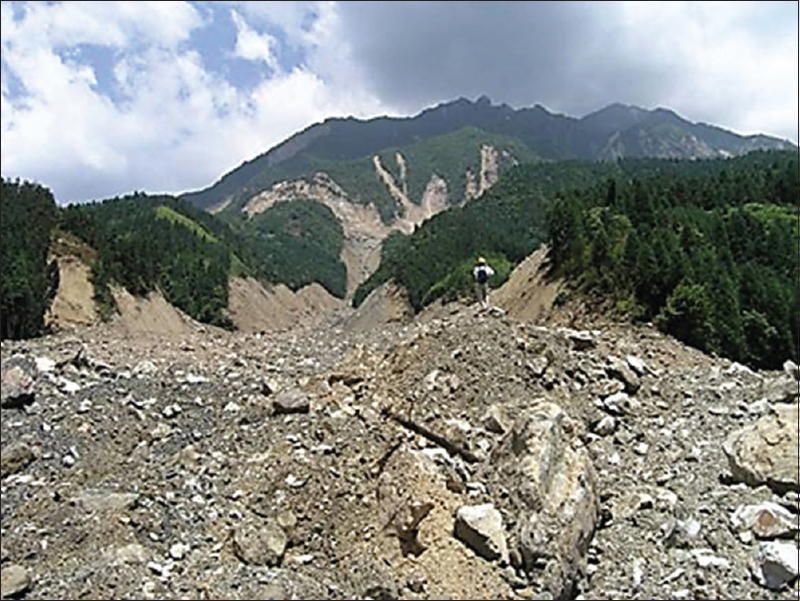 Behavior of debris flows located in a mountainous torrent on the Ohya landslide, Japan. Canadian Geotechnical Journal 2005;42:919-31. Zhang S, Zhang LM, Chen HX. Relationships among three repeated large-scale debris flows at Pubugou Ravine in the Wenchuan earthquake zone. Canadian Geotechnical Journal 2014;51:951-65. Sato HP, Hasegawa H, Fujiwara S, Tobita M, Koarai M, Une H, et al. Interpretation of landslide distribution triggered by the Pakistan earthquake using SPOT 5 imagery. Landslides 2007;4:113-22. Dunning SA, Mitchell WA, Rosser NJ, Petley DN. The Hattian Bala rock avalanche and associated landslides triggered by the Kashmir Earthquake of 8 October 2005. Engineering Geology 2007;93:130-44. Hung JJ. Chi-Chi earthquake induced landslides in Taiwan. Earthquake Engineering and Engineering Seismology 2000;2:25-33. 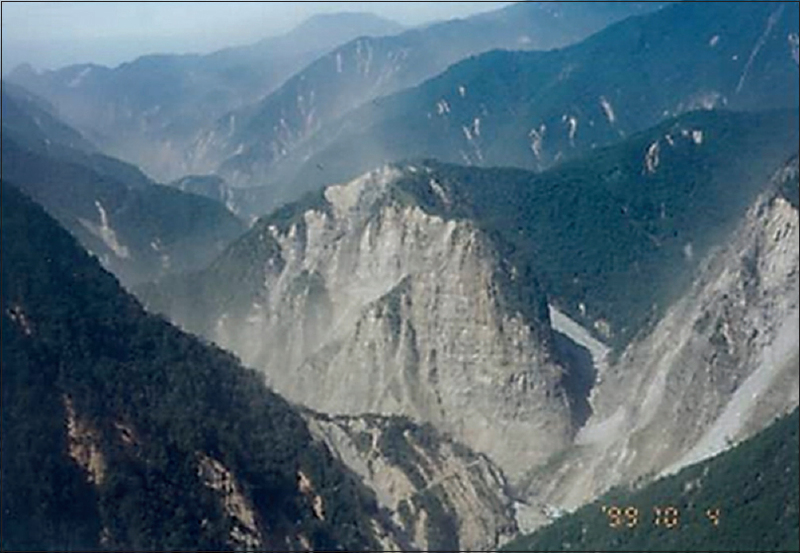 Liao H. Landslides triggered by Chi-Chi earthquake. Master's dissertation, Institute of Geophysics, National Central University, China. 2000. Lin ML, Liao HJ, Ueng ZS. The geotechnical hazard caused by Chi-Chi earthquake. In Proceedings, International Workshop on the September 21, 1999 Chi-Chi Earthquake, Taichung, Taiwan. 2000;113-23. Tang CL, Hu JC, Lin ML, Angelier J, Lu CY, Chan YC, et al. 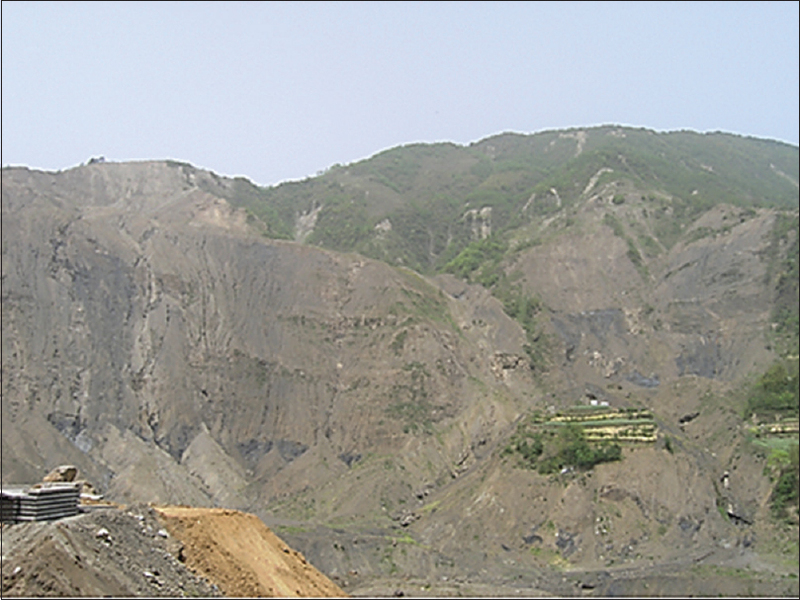 The Tsaoling landslide triggered by the Chi-Chi earthquake, Taiwan: Insights from a discrete element simulation. Engineering Geology 2009;106:1-19. 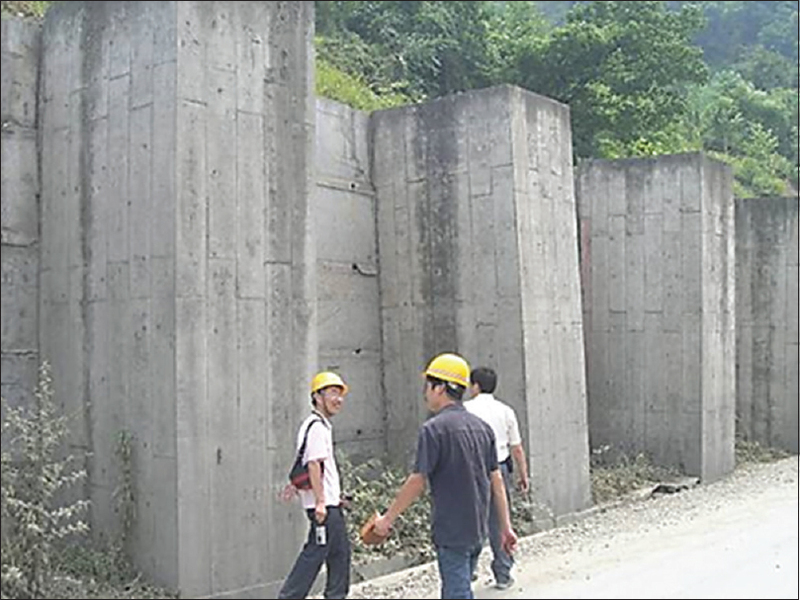 Lee WF, Towhata I. Geotechnical structure damages during the 2009 Typhoon Morakot. Bulletin of International Society for Soil Mechanics and Geotechnical Engineering 2010;4:25-35. Aziz M, Towhata I, Irfan M. Strength and deformation characteristics of degradable granular soils. Geotechnical Testing Journal 2016;39:452-61. Hua-yan Y, Zhen-hua Z, Chao-hui Z, Yi-chun S, Yuan L. Experimental study of mechanical properties of sandstone under cyclic drying and wetting. Rock and Soil Mechanics 2010;31:3704-15. Li-hua X, Su-mei L, Yan-qiang L. Experimental studies on rock softening properties in Danjiangkou reservoir area. Rock and Soil Mechanics 2008;29:1430-34. Sun P, Yin YP, Wu SR. 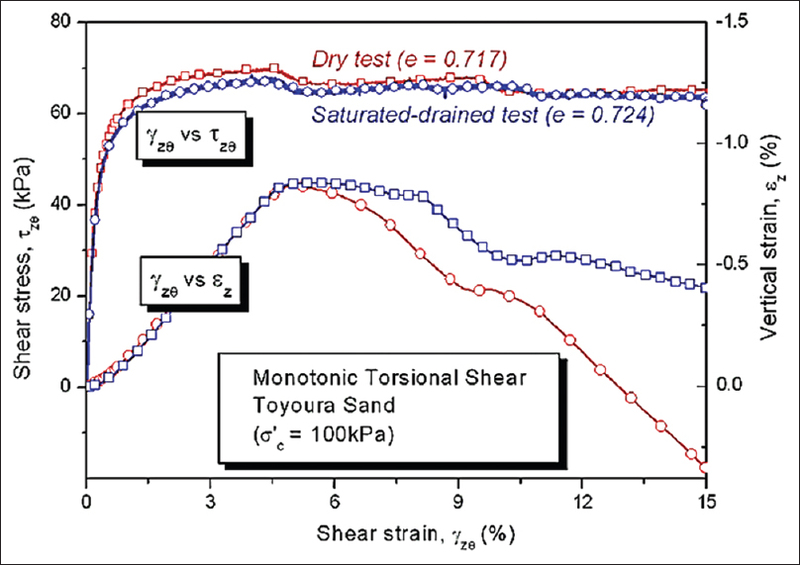 Experimental study on shear strength of rocks from Donghekou Landslide in dried state and saturated state. Geological Bulletin of China 2009;28:1163-67. Yao HY, Zhang ZH, Zhu ZH. 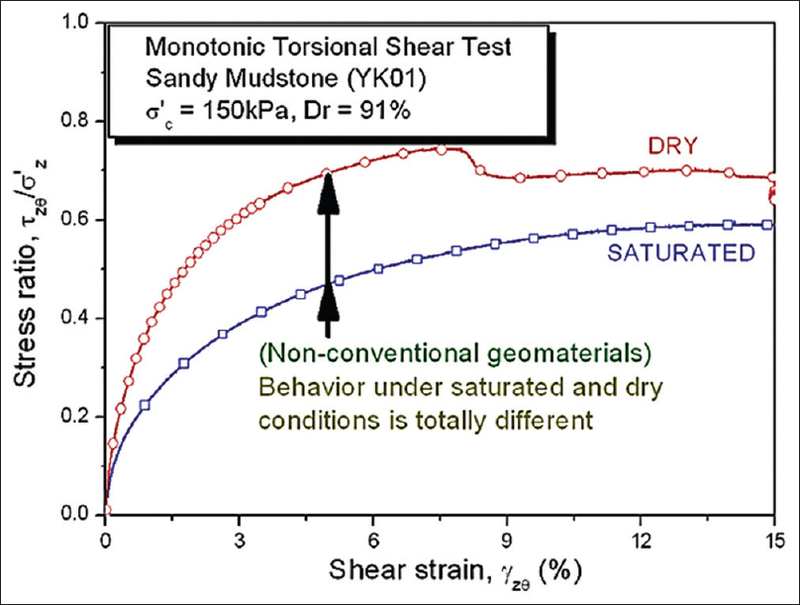 Uniaxial mechanical properties of sandstone under cyclic of drying and wetting. Advanced Materials Research 2011;243-249: 2310-2313. Romeo R, Paciello A, Rinaldis D. Seismic hazard maps of Italy including site effects. Soil Dynamics and Earthquake Engineering 2000;20:85-92.